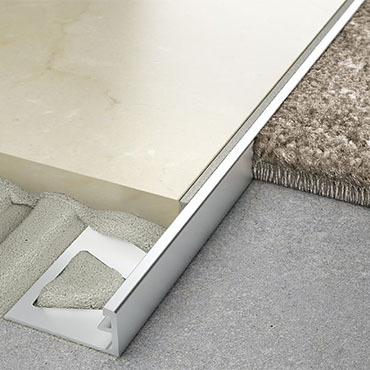 Developing practical solutions for tiling problems has propelled Schlüter-Systems into a worldwide company. Werner Schlüter sums up his company's success philosophically: "On the one hand, we have had novel ideas -- but on the other, we have targeted our market and provided useful and reliable products." As for the future, "we look upon it as our top priority to continue to solve technical problems with a range of superior products. As well, we will continue to use our tile contracting business as a testing ground for practical applications." Anyone who has an interest in a permanent, functional, and lasting tile installation can only benefit from these goals.